UK ITV show 'This Morning' is looking for a TMAU diagnosed person to appear on the show. They have contacted the tmau.org.uk website to ask for a volunteer. This would be the 4th TMAU person to appear on the show, following on from Claire, Karen and Ellie. Raising awareness of metabolic malodor is a vital need for the metabolic malodor community, as both the public and researchers are still mostly unaware of the concept. We are looking for a case study of someone who has been diagnosed with trimethylaminuria and can talk on live TV about how it affects their life. We arrange all travel and can pay a fee. It will be for a Tuesday show over the next few weeks. It would be brilliant if you could help. Thanks!"" 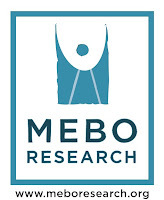 Use your credit card to make your donation to MEBO. That young singer should do it.